The most secure nut anywhere. Key-Rex® nuts are the world's most secure, tamper-proof nuts on the market. Every set of Key-Rex® nuts are custom "keyed" for the client. Only the client has the sockets to fit their custom set which are designed to be nearly impossible to remove without the socket. Key-Rex® shapes are created using an encryption process that builds a shape out of millions of variables and defines a unique code for each part. Customers pay for a one-time key code tool and licensing agreement. 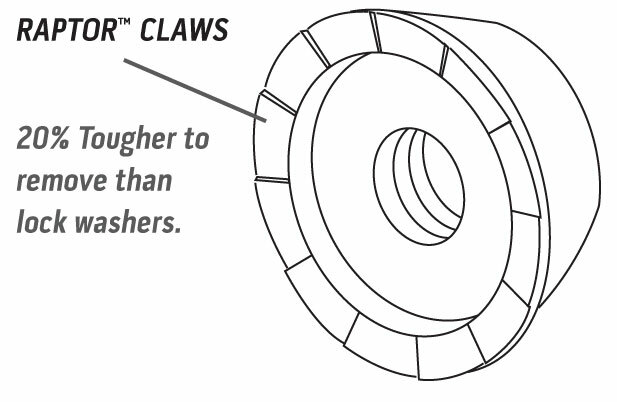 When manufactured with the optional Raptor™ Head, the Key-Rex® can handle 20% more torque and provides more grip than any other security nut on the market. 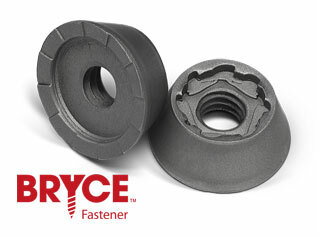 Click for more info about Key-Rex® Nut Theft-Proof Security Nuts, or for all Bryce products, visit our products page.